EPIC4 was compiled from source *on* the SS10. 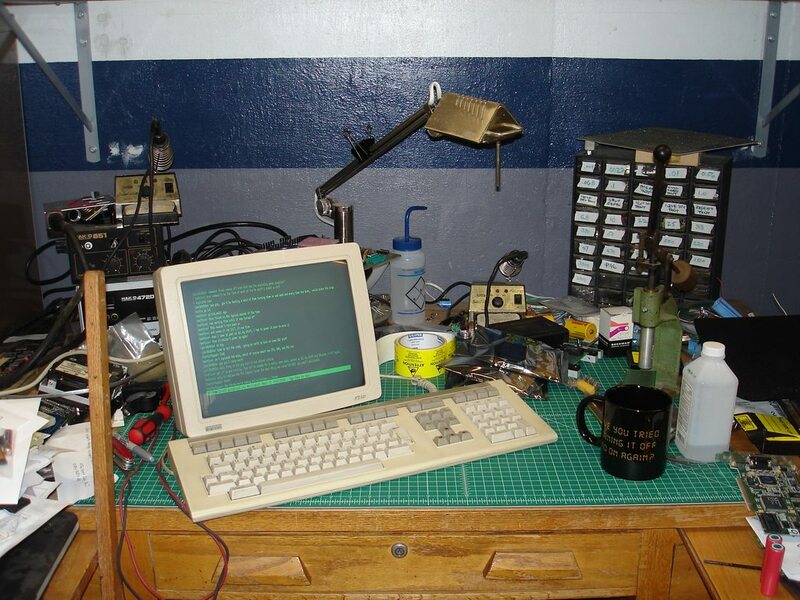 Total configure and build time around 25 minutes! 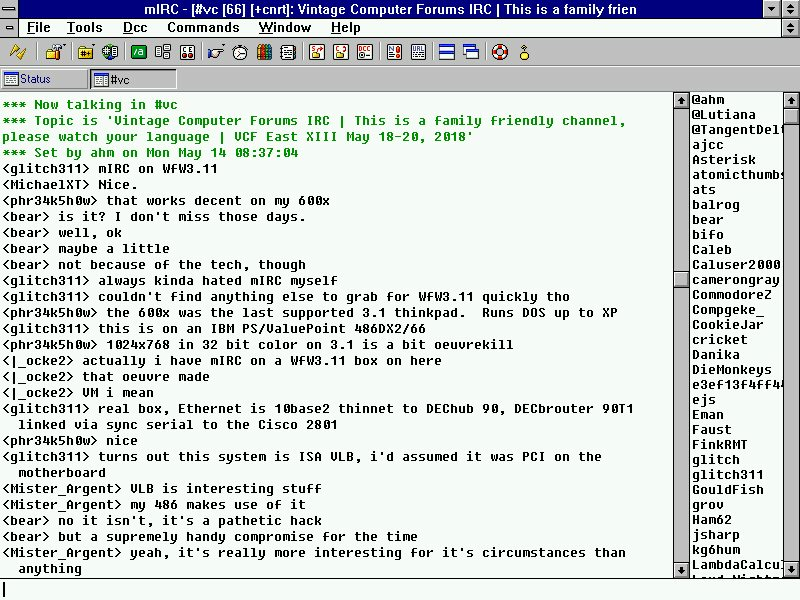 Console terminal is a DEC VT320 in 132 column mode. Took a bit to figure out that, when using a 132-column terminal as the system console, you have to set the width in NVRAM. Setting TERM=vt320-w is not sufficient. Works fine in a SunView console, too! 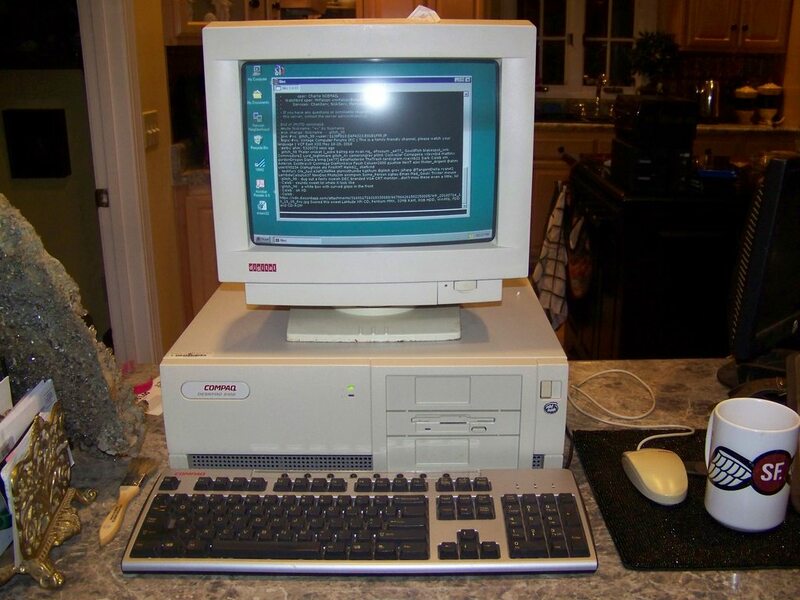 ircII was also compiled on the actual machine, I forgot to time it, but total build time was around 20 minutes or so. It's restricted to 8-char nicks. 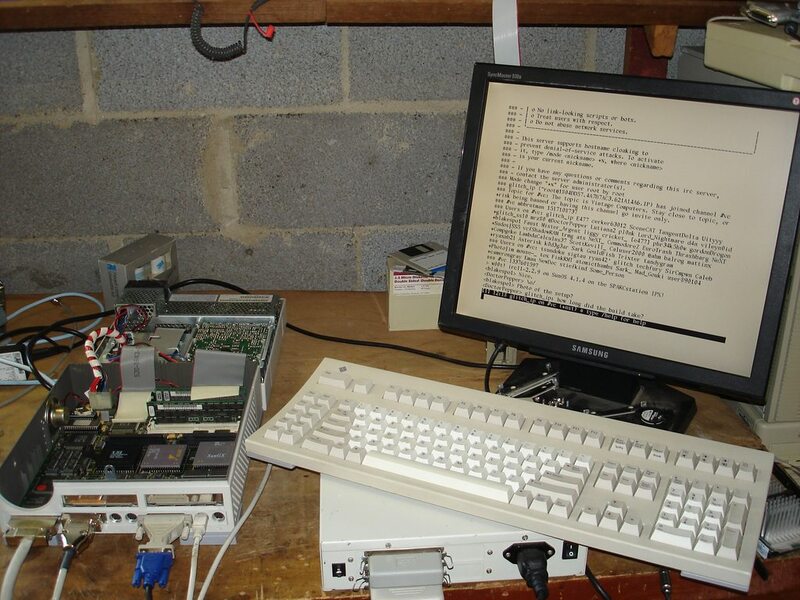 It's the oldest version I could find that would just build on SunOS 4 -- ircII-1.75 failed to build. Setting the foreground/background colors is not sufficient, the VT100 will just ignore them and use its normal, non-inverse colors. 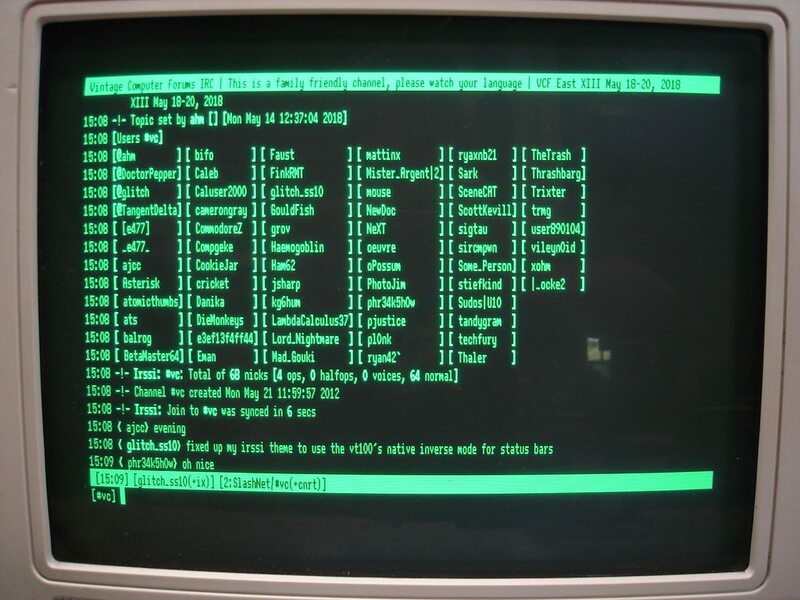 Pictured terminal is a VT320 in VT100 mode (for ESC key! 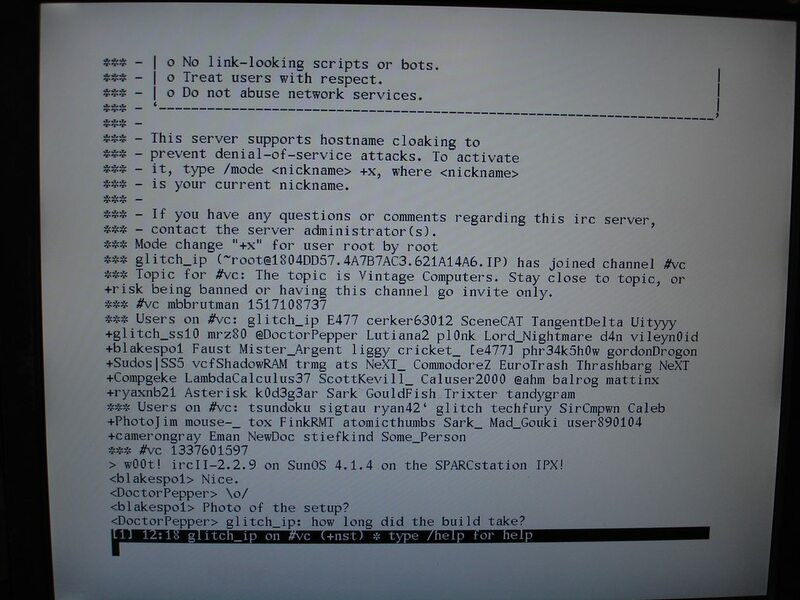 ), on ttyb on the SPARCstation 10, running NetBSD 7.1.2.